In a staggering turn of events, researchers were able to turn cancerous cells into fat, completely eliminating the disease in those cells. Well, this is interesting. 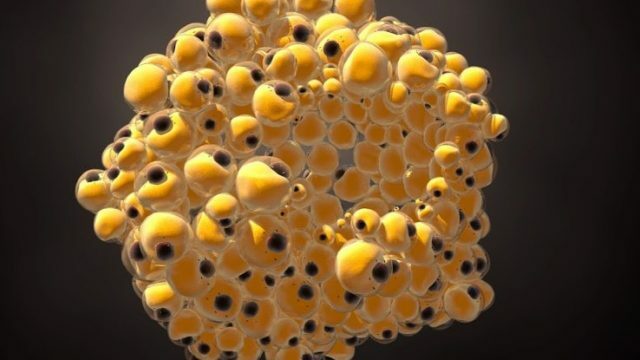 Swiss Researchers have been able to manipulate the growth of human cancer cells in mice, transforming them into regularly everyday fat. The beauty of the findings is once the cancer cells turn into fat, they don’t change back. Very simply put, they’ve used the growth of cancer (or at least the transition it uses to grow in the body) to halt the progress of. It works like this. Say you cut your finger, or something grows, the cells within begin to change to suit whatever the body requires most. The process is called epithelial-mesenchymal transition (EMT) and it’s been known for a while that cancer can use both this one and the opposite pathway called MET (mesenchymal‐to‐epithelial transition), to metastasise with the body. Researchers studied mice implanted with an aggressive form of people breast cancer and treated it with both a diabetic drug and a cancer treatment. Due to the drugs, the cancer cells used one of the aforementioned pathways, but instead of spreading, they changed from cancer into fat cells, a process called adipogenesis. Mind you, not every cancer cell changed into a fat cell, but those that changed didn’t change back. “The breast cancer cells that underwent an EMT not only differentiated into fat cells, but also completely stopped proliferating…as far as we can tell from long-term culture experiments, the cancer cells-turned-fat cells remain fat cells and do not revert back to breast cancer cells,” says senior author Gerhard Christofori of the University of Basel. So, is cancer therefore solved, and are we close to being all good? It’s a promising maybe. The researchers are now pushing for a clinical trial, but the hopes are extremely high.